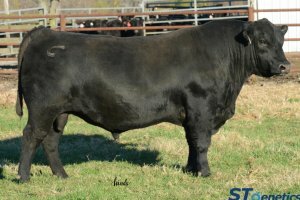 � Concord is the popular Consensus son out of Black Granite's dam and the top selling bull from the 2016 Connealy sale. � Top 1% for $Beef and top 2% for $Weaning, use Concord to take your program forward for the traits of economic importance. � As a standout since birth and one of Jerry's favorites, Concord is heavily sampled in the Connealy program. � Concord is well into the top 1% of the population for ribeye EPD and he expresses it.